We will feel for people in pain – even people we don’t know personally. We will want people to be encouraged and hopeful – even people we don’t know personally. We will seek to help people practically – even people we don’t know personally. Beyond the "conference room," you will begin to find that you are naturally feeling this and wanting to do it. Once you gain knowledge in the tools, competency in the legal technical and confidence in your team, you will begin to lead and guide from a place of compassion. And this is how you attract people to your office, without even trying. Your ability to actively listen and solve problems is utterly absent from your competition. And everyone sees it. So your calendar begins to fill up with potential money appointments: Initial contacts increase (yay! ), vision meetings increase (yay x2! ), your hire rate increases (yay x3!). But if there is not time in your calendar to “empty your backpack” of all compassion – stories, grief, troubles and struggles that you get to solve all day (not to mention the employees waiting at your door in-between all these fantastic meetings) – you will be burdened. Imagine a backpack filled with the heaviest cinderblocks you can imagine. At some point, you have to put the backpack down or else you’ll break your back. That's compassion fatigue. In an unrelenting world of constant giving and solving, filled with back-to-back appointments and very little breathing space, it eventually becomes impossible to “muscle through” week in and week out. Then we start to see our initial/vision and hire rates decrease because that bountiful compassion has turned into resentment and frustration. And we might tell ourselves, “The lucky streak has ended,” but as humans we are just not conditioned to continue at that pace without operating at a deficit. Get a journal or notebook and keep it at your bedside. At the end of your day, download all the stories you picked up from the day: prospective clients, existing clients, referral sources, client complaints, employee issues, even whatever may have hit you personally at home, because all compassion and heartache are created equal. What the story/situation was. Keep it simple and don’t make it into a dissertation. Just brain dump the emotionality of what occurred. This part is important: Connect and dump the emotional compassion that occurred in order for you to truly unload the backpack. What did you provide in regards to coaching, conflict resolution, counseling, etc. to provide value? It is equally important for you to get the WIN in it, to know you were part of holding a safe space for X to have a breakthrough in that moment with the resources you had. Celebrate the victories and share them with the team. Acknowledge what you have done as a huge accomplishment. Give yourself kudos – don’t minimize what you’ve done. Pretend you’re a duck! When you are in a leadership role – and you are as an entrepreneur and intrapreneur – you will take hits. You've got to let them roll off your skin, just like a duck lets water roll off its feathers. Work this muscle until you see the results. Build “pause” time in your calendar to reframe yourself between appointments. Use that time to do something for yourself, to make deposits into your compassion account. Doing this will allow you to always “show up” genuine and prepared, with your clients feeling heard and you feeling confident. You will begin to notice how much compassion was actually turning to clenching for your clients, which is a circumstance that creates undue pressure on us to “deliver.” Yes, you have to deliver on your promises (planning, etc. ), but when the delivery becomes all about the person's circumstance vs. about the person, which we all do day in and day out, that blocks the unpacking of the backpack to eliminate the compassion fatigue. If your interested in joining us in Chicago, book your flights now! There are still just a few seats left so register today and be in the room to experience what the Practice With Purpose Program is about and what we have to offer. At Lawyers with Purpose we feel very passionately about our unrelenting standards around consistently operating by our Rules of Engagement. On our weekly CCI call this week, we discussed how easily the expectations set within the Rules of Engagement can be pushed aside in the day-to-day of our “busy” world. How we give each other permission to let each other off the hook with no operation by set standard. It's those times that we allow The Rules of Engagement to be part of our consistent daily practice that there is very rarely ever a need for sporadic reactive “sit downs” about to what's going on with X (team, projects, cash flow etc.). And in our experience the work that has to go into repairing, redirecting and/or retooling doesn’t have to occur this way. If you make it part of your standards, the consistency in all facets of your business begin to happen. Your Rules of Engagement should, in essence, say that as a team we agree to operate under the following rules - day in and day out - to allow us to grow and eliminate any unnecessary dividedness. 3. Every person is absolutely required to hold each other accountable and to be accountable for their own actions. 5. We agree to always engage in Healthy Conflict to solve real problems quickly and to put critical topics on the table for discussion. If there is something that someone is doing and behavior that is a constant roadblock YOU need to conduct a STOP and identify the behavior that is occurring in that moment so we can identify and breakthrough. 7. We agree as a team to always be willing to FAIL FORWARD. United we stand, divided we fall. If you're interested in learning more about how Lawyers With Purpose could support your estate planning / elder law practice, please join us in Chicago June 9th - 11th for our Asset Protection, Medicaid & VA Practice With Purpose Program. Register today as we are filling fast. The hotel is almost sold out so grab your seat today! With the proliferation of those online will factories, some believe traditional estate planning is dead. But that is not the experience of Lawyers With Purpose members. With nursing home costs rising more and more out of reach of most people, clients are looking for ways to protect what they have scraped and saved and worked so hard to build. And those clients are turning to Lawyers With Purpose attorneys to help them do it. Lawyers With Purpose can help you quickly get up to speed to effectively and competently work with your clients in the Medicaid area. We provide our members many tools to help them do that. One of those tools is the Medicaid Qualification Worksheet. The Medicaid Qualification Worksheet can help you immediately determine whether or not a client is currently qualified for Medicaid if they go into a nursing home, what you might need to do to help them get qualified if they are not already, and show them that they may not have to wait five years after they do planning with you before they could qualify for the benefit. You will never forget the feeling you get as you watch the wave of relief that washes over the face of the first client you are able to tell that to! Watch this video to see how the worksheet works. If your interested in learning more about this and other ways Lawyers With Purpose can help enhanse your estate planning practice, join us at our Practice With Purpose Program in June. If your at all interested click the link and register today! The hotel is close to selling out and seats are filling quickly! Aaron Miller, Legal/Technical Trainer - Lawyers With Purpose. Four years ago I had never heard of Lawyers With Purpose and knew nothing about the LWP processes. Of course I had worked a number of years in the legal field, and had developed systems and processes in each position I had held, but I had never seen anything like the Initial Contact Focuser (ICF). What a ridiculously simple idea! How come I never thought of it? Just for kicks, I added a few columns into my spreadsheet that are now incorporated into the new Initial Contact Focuser on the LWP website. By using the sort and filter functions, I was able to see exactly what was causing our phone to ring. I was able to track the results of our RMS process, as well as each retail advertisement we had paid for. Thinking about advertising on the scorecards at local golf clubs? Forget it! We never got a single referral from the half dozen courses that we advertised at. And I can tell you that with no hesitation because of the Initial Contact Focuser. We were able to track ROI on retail marketing down to the cent, and maximize our marketing dollars. Not only that, but I could immediately access referrals from synergy partners, tell you how many prospects were converted to clients, and give you the total dollar value of that referral relationship, as well as the average value of each referral. We were able to more effectively measure the results of our involvement in community groups such as the Chamber of Commerce and the results of luncheon speaking engagements for the local Rotary Clubs. OK, so maybe I’m preaching to the choir here. You probably have already “seen the light” long ago. But just in case your firm is not religiously documenting every new prospect on the Initial Contact Focuser, I just have to ask …. WHY NOT? I hope you’ll check out the brand new Five Key Focusers on the member website. A great deal of work has gone into improving them … just for you! You’re probably familiar with the concept of IQ...maybe you’ve even taken a quick IQ test online or in the back of an in-flight magazine. Many years ago, it was believed that IQ and intelligence were synonymous -- that there is some sort of magic number that everyone has that can be determined by the right test, and that that number is a reflection of how intelligent they are. Even today, if you ask the average person on the street what intelligence is, the term “IQ” is going to come up more often than not. When you look at the list above, it’s not difficult to come up with examples of what Gardner was talking about -- history is full of people who achieved at the highest levels in their field, independent of what they may have scored on a traditional IQ test. IQ wasn’t related to Beethoven’s successes...it was his musical intelligence. Michael Jordan’s IQ had nothing to do with his ability to drive the lane or hit a jump shot -- but he absolutely is gifted in the realm of bodily-kinesthetic intelligence. Margaret Thatcher would likely have scored well on a traditional IQ test, but you can also make the case that it was her inter- and intra-personal intelligence that helped her ascend to the top of her field. When you think about the examples I’ve given above, and the others that surely came to your mind as you read through Gardner’s list, what do they have in common? They all benefited from an extraordinary fit between their gifts and the endeavors they chose to pursue. In my law firm, we’ve taken this philosophy to heart – working in our strengths (ie., whose doing what to reach goal). So often you’ve heard me discuss the idea of systems, and how having the right system in place makes all the difference in your practice. Well, an important component in that is making sure that the people -- the most important part of any business system -- are a good fit with the responsibilities they have. Take a minute now and think about your team -- who is particularly gifted verbally? They have a way with words -- are they getting the opportunity to leverage that talent for the benefit of your whole firm? What about your analytical thinkers? Are they getting the opportunity to solve problems and help things run more smoothly on a day-to-day basis? Next month, LWP is hosting a three day event in Chicago where we’ll be talking systems automation and how you can leverage the right tools, systems, and the natural talents of your staff to exceed your revenue goals! And the beauty is your freed up to focus on the people (i.e. meeting with clients and power partners). The next Practice with Purpose Program is June 9-11. There will not be another one until October. Yikes, that’s closer to “year end” than “New Year”. We’ll provide you with the road map -- we’ll teach you how you can use your natural gifts (and those of your team) to get more done at the office and get more time at home as well! That doesn’t meant that it’s going to be easy, though...one of the benefits of attending an event like this with some of your most successful and forward-thinking peers from around the country is that we're going to challenge you to break through the roadblocks you’re currently facing...to focus on what's really important in your practice...and to eliminate the distractions that take away from your time and focus. That's our promise to you...that you'll return home with a clear vision for taking your practice to the next level. Taking the all-important first step is up to you - click here to register now. We fully expect that the program will sell out, and you don't want to be left without a seat! Congratulations to Michele Ungvarsky, LWP Member Of The Month! What is the greatest success you've had since joining LWP™? I have been able to completely revamp my practice from litigation to Estate Planning with the tools, plans, mentoring, and software provided by LWP™. Looking back over the past 14 months, I know I would not be where I am if I had to design a new practice by myself. 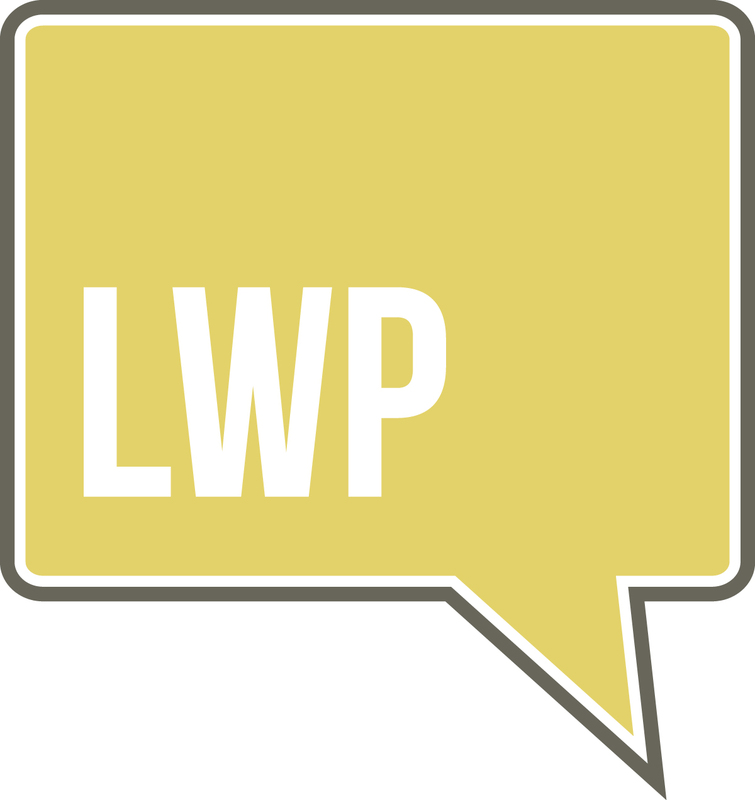 What is your favorite LWP™ tool? This changes periodically and it's hard to pick one "tool." Right now I am loving the Asset Protection Analysis. There is information any type of Kolbe personality can understand and use. I will admit it took me a while before I completely understood it and was not intimidated by it, but it has been a real plus for showing my clients what I can do for them. How has being part of LWP™ impacted your team and your practice? The one-on-one mentoring for legal-technical and systems can't be beat. My assistant and I have been challenged continuously to develop and improve our system. Just when we want to sit back and coast, we are prodded into action. Congratulations Michele. We're honored to have you as a member! If you are interested in learing more about become a Lawyers With Purpose member, click here at take a look at what we are offering at our Asset Protection, Medicaid & VA Practice With Purpose Program, June 9-11 in Chicago. Register now! We recently had a discussion on the Live ListServ on a newer component of the LWP-CCS, the client centered drafting software created by Lawyers with Purpose. For clients that may not have a huge amount of assets and would be highly unlikely to ever really worry about the estate tax and they don’t want the added “confusion” of having a lot of language regarding estate tax in their documents, there is now an option to create a “common trust” for married couples. A common trust gives asset protection as does the credit shelter / family trust. The same questions are asked as they are in the credit shelter / family trust option, but it rips out the tax language. It is assumed that the client does not need and won’t ever have a need for the estate tax provisions. The common trust is funded after the death of the first spouse. If husband and wife have separate trusts, then the common trust is funded by 100% of the deceased spouse’s trust. But if there is a joint trust, then the trust is funded by 50% of the joint assets in the trust and all of the assets on the deceased spouse’s separate assets. How does this look? Let’s say husband and wife with a $500,000 joint trust. In our scenario, the husband puts in $300,000, the wife puts in $100,000 and they jointly contributed $100,000. Assume first that the husband dies first. The terms of the trust would then put $300,000 of the husband’s assets in the common trust. Then half of the $100,000 that was jointly contributed would be added, and none of the wife’s contribution would be added to the common trust. So a total of $350,000 would be put into the common trust. Now assume the wife died first. In that case, the $100,000 that she separately contributed would be added to the common trust. Also half of the $100,000 that was jointly contributed would go to the common trust. So if the wife died first, $150,000 total would be contributed to the common trust. The live listserv is an incredible valuable opportunity to get your burning legal/technical, marketing, and any other practice related questions answered in real time. Don’t miss out!